When summer comes, a huge number of women would like to put on their beautiful outfits to echo this colorful season. To be a sophisticated lady, you should pay attention to every detail, including your nails. So, we made a post called 18 vintage floral nails for summer. 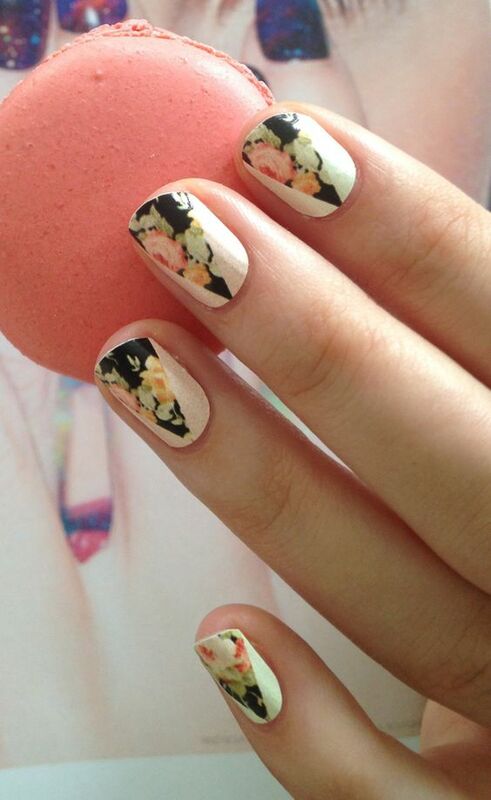 We all know that the floral nails are quite suitable for spring and summer. 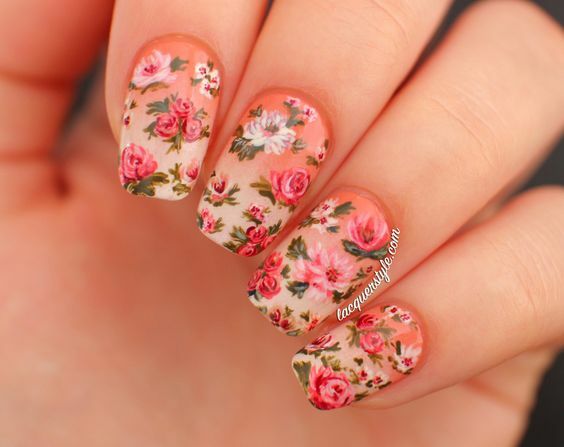 Yet, if you want your floral nails more special and stylish, you should just go for the vintage floral nails. Now, stay here and have a look at these stunning nail designs. Tell us which one you like most. The pastel yellow base looks really pretty with these lovely pink roses. 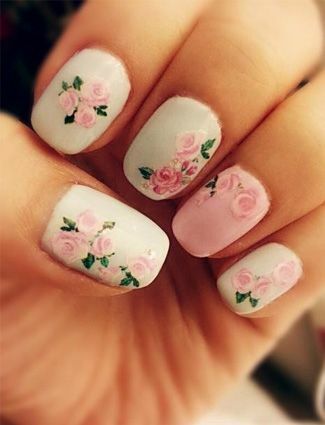 All young women can try this pretty pink rose nail design. White nails can be retro-chic, too. 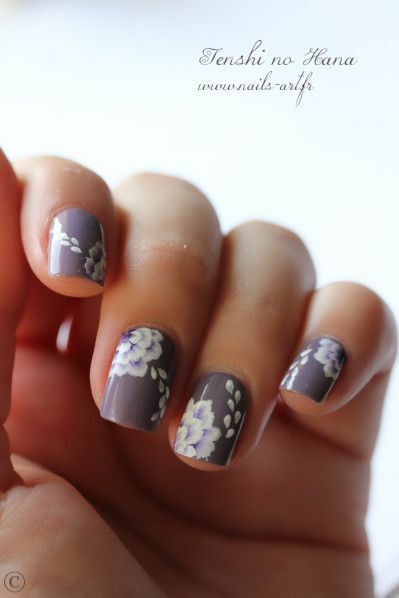 These four kinds of flower patterns are really gorgouse to upgrade the white nails and make this design effortless chic for women to try. 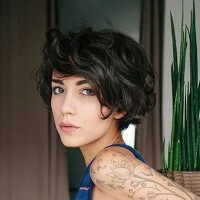 Pastel colors make women look soft and tender. 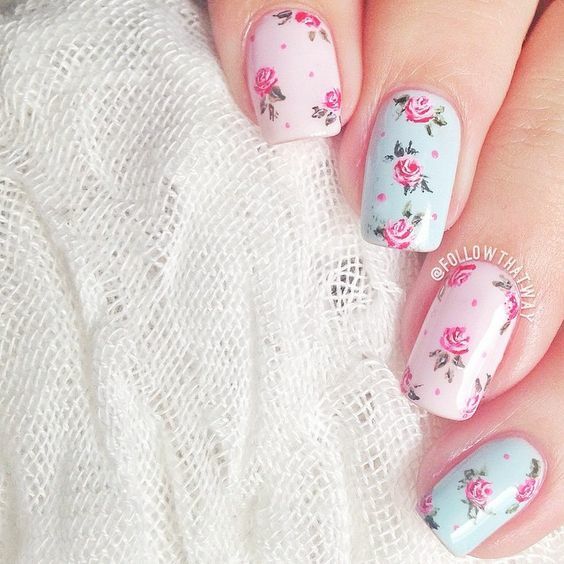 Why not dress up your nails with the pastel flower nails? Painting some red flowers onto your mint nails is a great way to elevate your nail look. 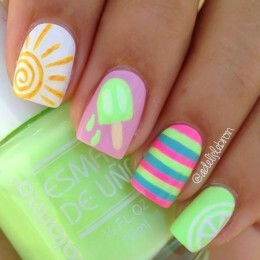 Plus, this is a very adorable nail design for spring and summer. Do you enjoy the spring time? 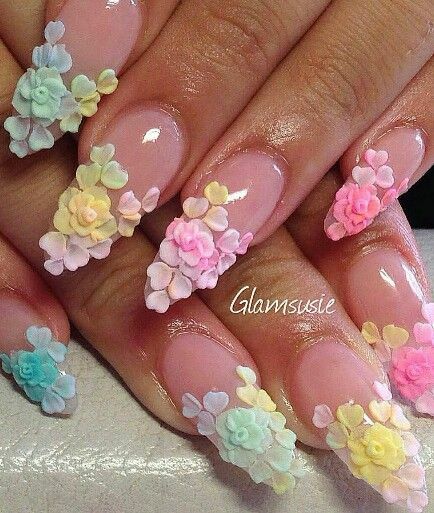 Why not just keep spring on your nails? 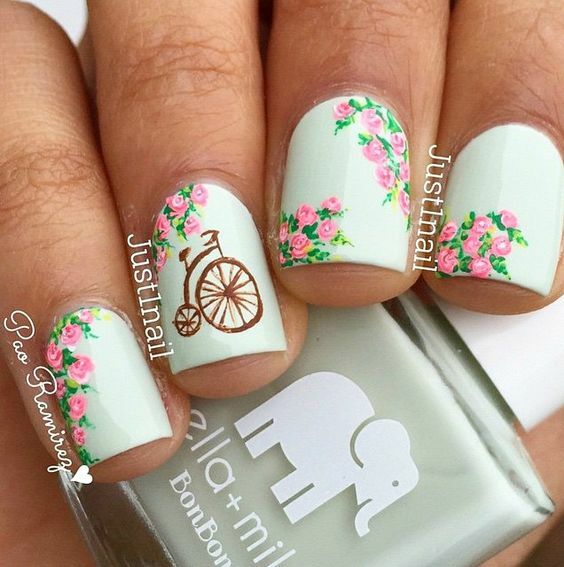 This nail floral nail art is full of life due to the lovely flowers and the cute bike. 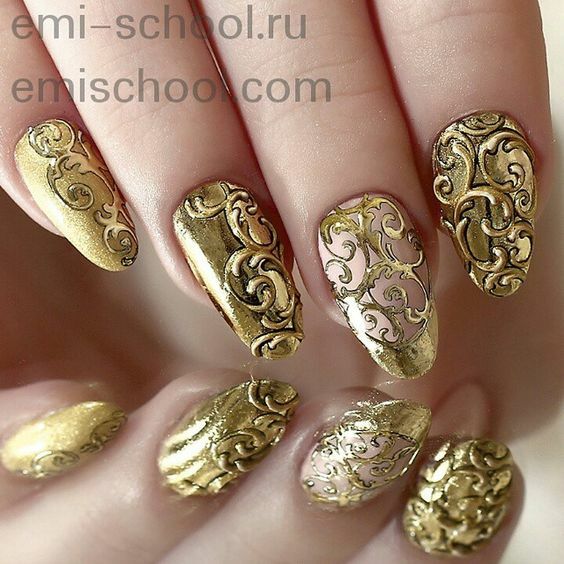 This vintage nail design looks rather stylish with the black carving style patterns. It’s an elegant nail design for formal occasions. The white daisy flowers look quite stylish against the black background. This is a super cool nail design for women over 25. 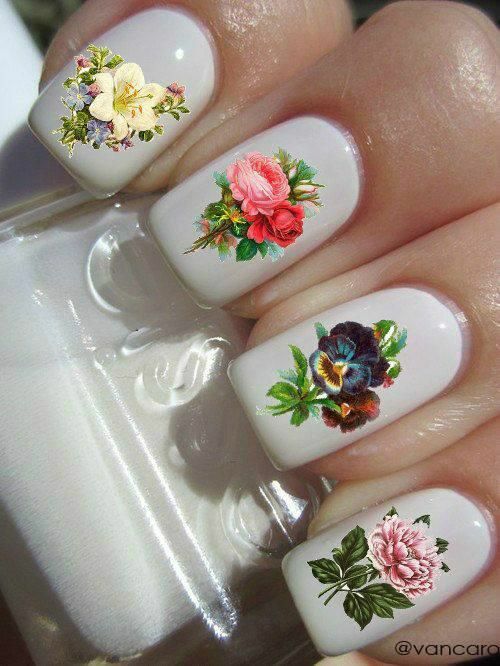 Mature women will look quite graceful when they decorate their fingers with this vintage floral nail design. 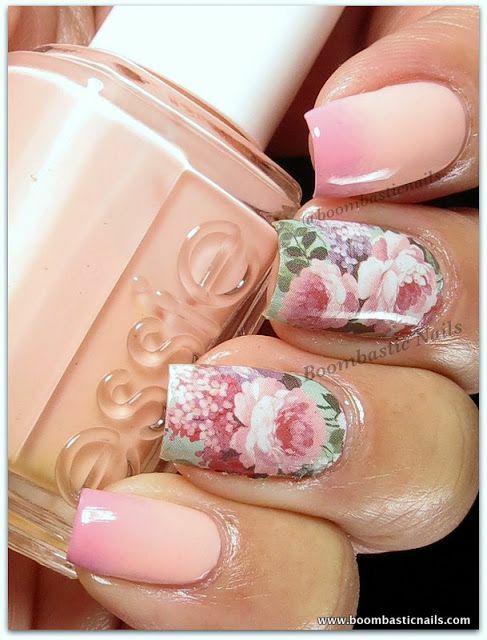 This baby pink peony nail design is quite noble and it’s quite beautiful for women to get a more stylish look. 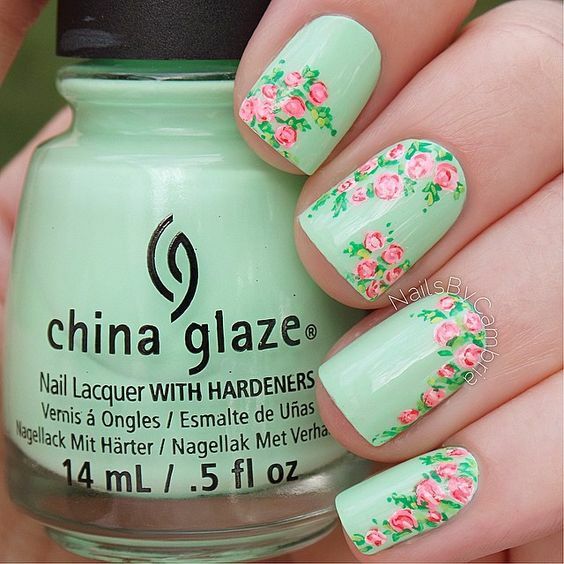 This pretty flower nail design looks quite classy. 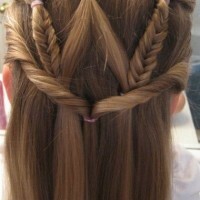 And it is quite suitable for those sweet girls. 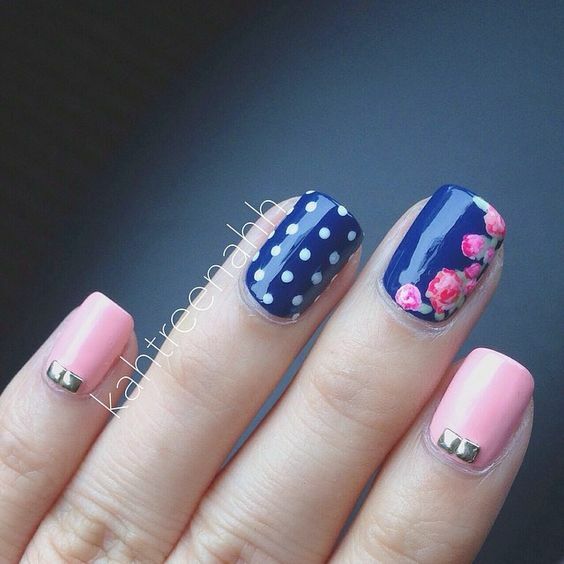 With delicate patterns, this retro-chic nail design looks super stylish. Whatever occasion you are going for, this nail design will never be a wrong choice. 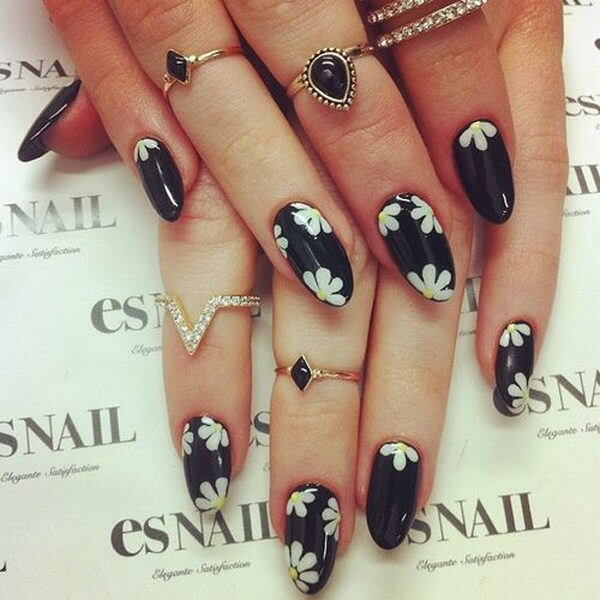 If you like the black nail art, you should not miss this vintage floral nail design. The colorful nails work well to make the black nails more feminine and fashionable. This vintage nail design is pretty faddish for women at any age. 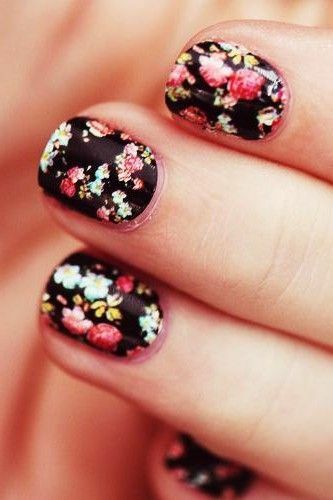 Younger women are suitable for this flourishing floral nail design. Plus, this retro-chic nail look is fabulous for proms and dates. 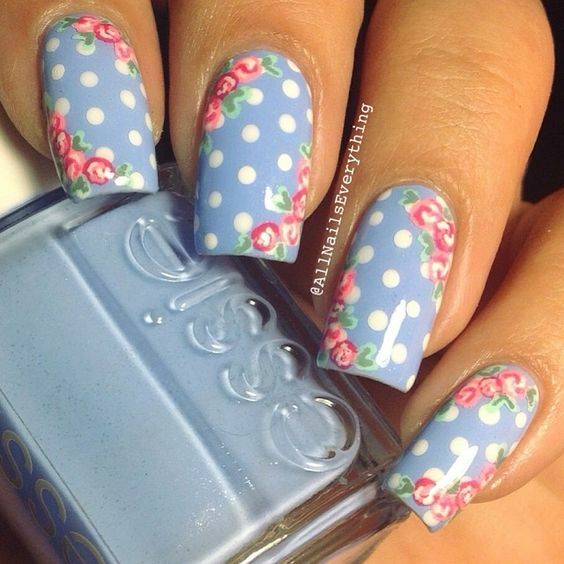 With the presence of white dots, this floral nail art becomes quite stylish with a lot of vintage vibes. Pink and navy blue look so fashionable when put together. 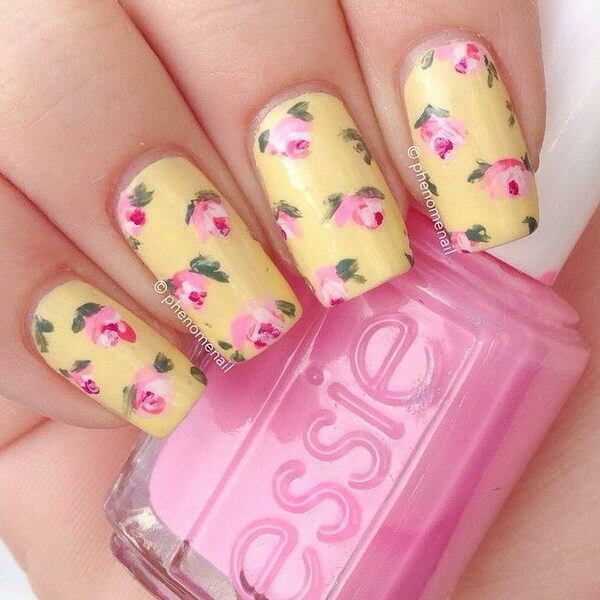 This vintage floral nail art is quite styish for young women. 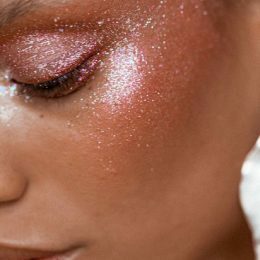 Have you ever tried the grandiose nail design? When you go to the party, this vintage golden nail design is just what you need. This 3D flowers silhouette nail art is so beautiful that it is an ideal choice for the wedding.